Whether you spell it the European way 'biennale' or the American way 'biennial', the meaning is the same: a mega art exhibition which takes place every two years. In the late 1990s and 2000s, numerous conferences and academic texts explored the importance and relevance of the Biennial as a concept. The Biennial became an increasingly important international art exhibition, especially during the 1990s and sprouted in numerous cities. The Biennial also helped shift the focus of art from the major art centers to other locations, while aiding the local tourism industry. 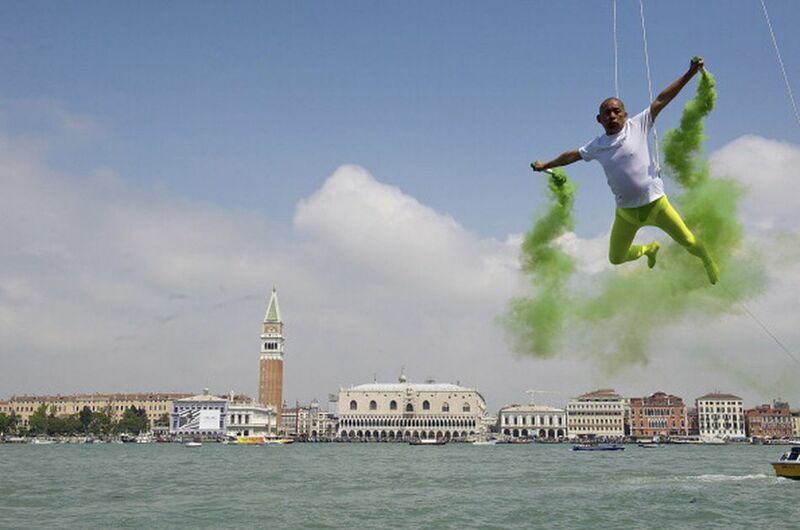 The Venice Biennale is the granddaddy of them all. Established in 1895, when world's fairs were the trend, the art from various nations were showcased in the Giardini (the Garden), which is host to several national pavilions, each with its own unique history of architectural development. The huge exhibition has expanded in size throughout the city of Venice, with new pavilions and exhibition sites being added each time. The Venice Biennale takes place from June to November during odd-numbered calendar years. The São Paulo Biennial in Brazil began in 1951 and takes place during even-numbered years. It is the biggest and oldest biennial in the Americas, and it features Brazilian, Latin American and international contemporary art in its curated thematic exhibitions. documenta in Kassel, Germany is not a biennial, since it is held every five years. However, it ranks in prestige and importance with the world's top biennials and triennials. During its opening preview, arts professionals including artists, curators, museum directors, critics, art dealers, etc. from around the world attend. Established in 1955, documenta is one of the major must-see art exhibitions. The Biennale of Sydney in Australia was established in 1973, making it the 3rd oldest biennial in the world. From June to September in even-numbered years, the mega exhibition takes place throughout the city of Sydney. The Havana Biennial in Cuba began in 1984 and is known for showcasing non-western art mainly from Latin American and Caribbean artists. The Istanbul Biennial in Turkey began in 1987 and takes place in the fall of odd-numbered years. It is one of the most prestigious art exhibitions for international contemporary art. Like many of the other biennials, the art curator is chosen by committee. The curator then develops the concept, theme, and list of artists for the exhibition. Another main feature of biennials is that they are not isolated museum exhibitions, but rather involve the entire city in its makeup, so parts of the biennial exhibition take place in galleries, abandoned factories, public parks, waterfronts, etc. There will also be seminars, workshops, tours, film screenings, etc. The Lyon Biennial in Lyon, France was founded in 1984 and is held from September to December in odd-numbered years. It is highly regarded for its carefully crafted thematic exhibitions. The Dak'Art Biennial of Contemporary African Art in Dakar, Senegal began in 1992 and is held in May during even-numbered years. It features contemporary African art. The Sharjah Biennial takes place in Sharjah, United Arab Emirates. Established in 1993 as a local art exhibition, by 2003 the focus changed to make it an international contemporary art biennial. The Berlin Biennial is located in Berlin, Germany which is one of the biggest and most famous international artist communities in the world. Modeled after the Aperto exhibition in the Venice Biennale, the Berlin Biennial was established in 1998 to promote cutting-edge contemporary art and to reflect the city's importance as a vital art center. The Shanghai Biennale in China started in 1996 as an exhibition of local artists using traditional Chinese ink-painting techniques. In the year 2000, the seminal exhibition curated by Hou Hanru featured conceptual art, installation art, new media, video, and digital art to create an international biennial. The Yokohama Triennial in Japan, near Tokyo, is a triennial and not a biennial, so it takes place every three years instead of two. It was established in 2001. The Singapore Biennale at the Singapore Art Museum (SAM) is relatively new as it started in 2006. Since its establishment, the city-state's art scene has strengthened, and the Biennale has proven to be extremely popular with visitors. New York's famous Whitney Biennial takes place at the Whitney Museum and showcases the artworks from both emerging and established American-based artists. It is often fondly referred to as the exhibition one loves to hate. Manifesta, also called the European Biennial of Contemporary art began in 1996 and takes place in a different European non-art center every two years. Manifesta has taken place in Rotterdam, Luxembourg, Ljubljana, Frankfurt, San Sebastian, Trentino-South Tyrol, and Murcia.